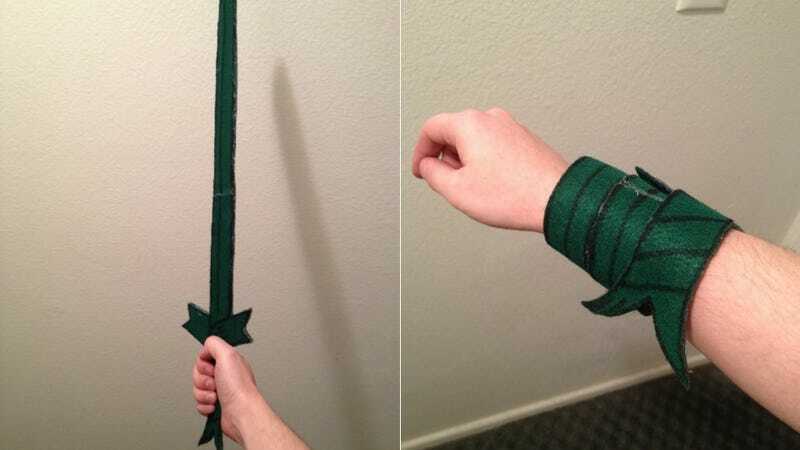 During this past season of Adventure Time, Finn acquired the Grass Sword, which wraps around his wrist when not in use. One fan noted that Finn's sword has a lot in common with those collapsible snap bracelets—and used them to make his very own Grass Sword. 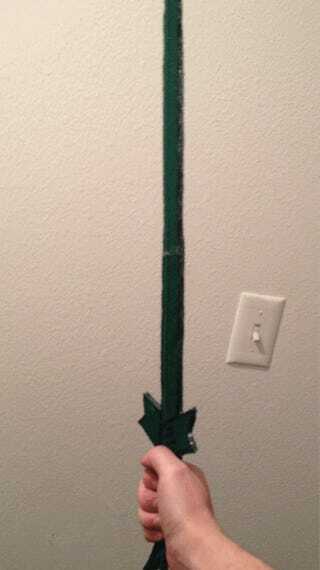 reddit user JoshuaQuail showed off his snapping Grass Sword on r/AdventureTime and explained that the "snapping" component is measuring tape. If you want a grass blade of your very own, he's selling them in his Etsy shop—a 14-inch dagger version for $8 and a 24-inch sword version for $14.